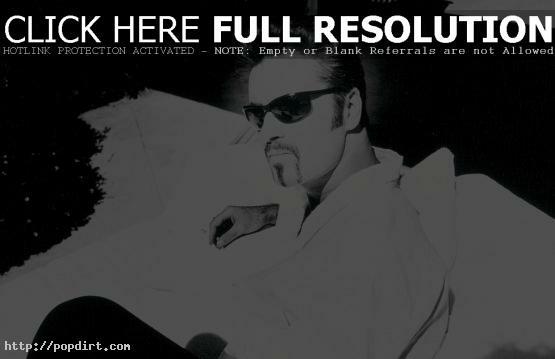 Neil Sean of Sky News reports that George Michael is looking to get back into the studio and wants to collaborate with Madonna. “I wouldn’t mind a duet with Madonna,” he said. “I love her new stuff and ‘Confessions On A Dance Floor’ is my favorite album of hers ever.” The former Wham! star also wants to go on tour to celebrate 25 years in showbiz.
. . . and the list keeps getting longer . . .
May 7, 2006 – Neil Sean of Sky News reports Madonna fans will be disappointed to learn the singer won’t be performing ‘Vogue’ on her upcoming Confessions tour. The Material Girl blames the intricate dance routine required for the performance, and the time needed to rehearse it. May 4, 2006 – Madonnalicious.com has a live video clip of Madonna performing at the Coachella festival on Sunday (April 30). Her set list included ‘Hung Up’, ‘Get Together’, ‘I Love New York’, ‘Let It Will Be’, ‘Ray of Light’, and ‘Everybody’. May 3, 2006 – ‘W’ Magazine is coming out with a 58 page portfolio of Madonna. For a sneak peak of the upcoming issue (due on news stands May 19th). DrownedMadonna.com has an exclusive peak at the Steven Klein photos of Madonna. A washed up homo wants to work with the hag….what a surprise! Supposedly Madonna and Elton John are feuding and George Michael and Elton John are feuding. I guess the enemy of my enemy is my friend. Wouldn’t Mind Duet With Madonna”, ‘I think that would be a great collaboration. George has done amazing dance mixes as well as Madonna….would love to see what the two of them could come up with together. I’m soo excited!